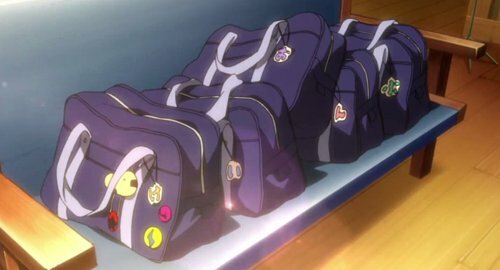 Motto: "There is always time to doodle on something." Well, crap. I want Megatron now. Transformers cybertron is the best show! 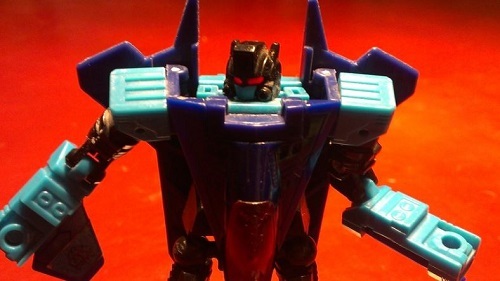 Motto: "You can't harm me while Dark Energon flows through my veins!" Why do I hate plain gray plastic so much? DarkEnergon wrote: Why do I hate plain gray plastic so much? TBH, the problem with Hasbro's grey plastic is that it isn't grey- it's mock silver. It uses a faux-metallic look that results in a very soapy, semitranslucent finish. Had TR Megatron used a proper flat grey I'd have bought it, but that mock silver was so awful I couldn't stand the sight of it. Black Hat wrote: Had TR Megatron used a proper flat grey I'd have bought it, but that mock silver was so awful I couldn't stand the sight of it. I liked the grey on TR Megatron, except the chest grey which seemed a bit off compared to the rest of it. Which doesn't matter since I silver sharpied it anyways. Still the only G1 Megatron figure I've liked enough to have in my collection for a decent amount of time. Honestly guys, nothing will be as bad as that dull as **** "grey" plastic on Gen Power Master Optimus Primal. As long as it is an actual grey colour, I think its ok. Grey Plastic could look awesome, like on AOE Slog. william-james88 wrote: Honestly guys, nothing will be as bad as that dull as **** "grey" plastic on Gen Power Master Optimus Primal. As long as it is an actual grey colour, I think its ok. Grey Plastic could look awesome, like on AOE Slog. Oh yeah, that Slog looked awesome. Helps as you say it was actual grey as opposed to "Totally silver guys". 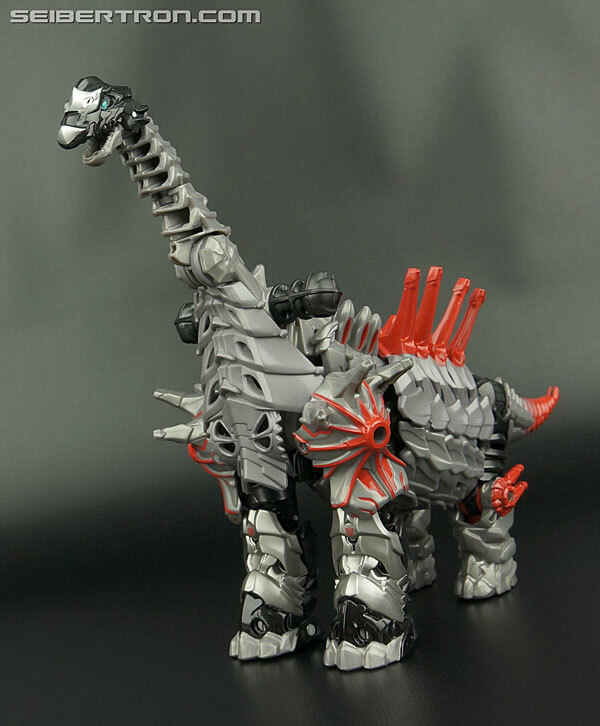 Speaking of the Movieverse Dinobots, I can't be the only one who wants redecos of SS Grimlock and whatever other Dinobots we get in sort of "fossilized/bone" colours right? Seeing Stinger in hand, I decided he wasn't a memorable enough character that I should worry about him. So glad i waited to see him in stores to make that decision. As for these 2. My Bee is plagued with the falling off roof, and ratchet has a loose left hip. But both are pretty good in their own ways. This is my first actual properly colored Ratchet, since I only have the RotF Desert Tracker voyager. And He's good! I like him, and his size will make him go good with some recent figures. 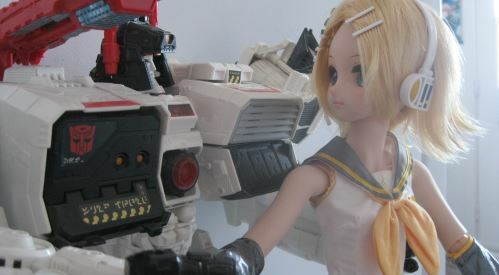 Planning to do a bot group shot eventually with figures more in scale with each other. Bee is alright too. I won't be getting the TLK one till next month, so this is my first exposure. I like how accurate he is, and he doesn't have much kibble. He's a bit fiddly, but still alright. Alt mode is sweet. it also struck me funny that Ratchet was the rare one. I picked up the only one of him I saw. I saw the other 3 deluxes and both voyagers at 3 different stores, but only saw a single Ratchet at Target, where I got him and Bee. 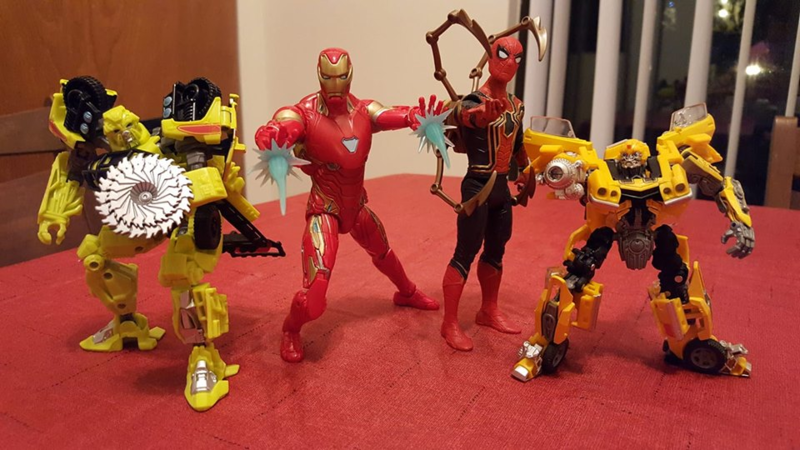 Does that Infinity War Spider-Man have a crumbling into dust in Tony Stark's arms action feature? Well, he does have some gold plastic on him. Aw, as gut-wrenching as that was, he'll definitely be among those whose snapping is undone. No way would Marvel allow their most iconic superhero to be killed off after just three movies of him still being in his rookie stage. What's the transformation like for these guys? Is ratchet's the same as his previous deluxe versions? Sabrblade wrote: as gut-wrenching as that was, he'll definitely be among those whose snapping is undone. No way would Marvel allow their most iconic superhero to be killed off after just three movies of him still being in his rookie stage. ZeroWolf wrote: What's the transformation like for these guys? Is ratchet's the same as his previous deluxe versions? Yeah Ratchet transforms basically same way as DotM mold but with a couple minor changes (like the wheels turning inwards on the shoulders to reveal more lights). Came across this repaint on Instagram. Basically a much tidier version of what I was doing with my Ratchet figure. Very nice (though i think should have painted the crotch area silver like on the cgi renders I used for mine). Do you just read titles and not the articles? fixing some of the quality concerns that affected the figure in the first place: loose joints, loose window attachment, loose feet, among others. but not on this one. i would only need the title of the article to pose my query. ain't we got enough frakkin Bumblbees? 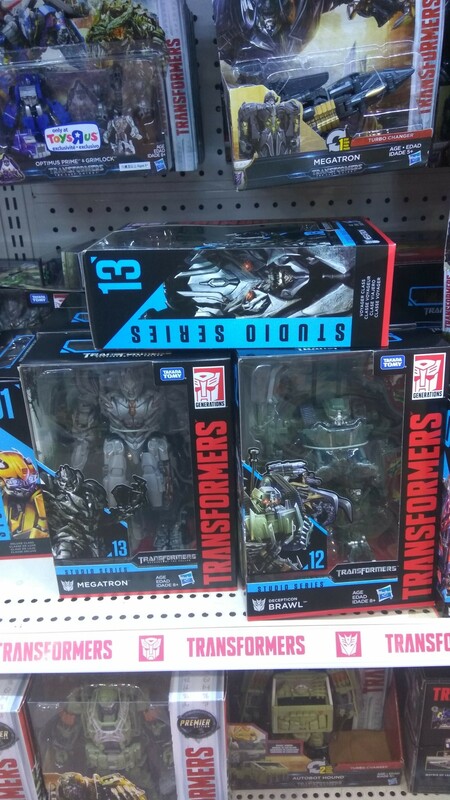 Singaporeans are in luck this time with the Studio Series wave 2 voyagers being found at Toysrus. Two singaporean fans, lake88 and darkavenger, reported finding Brawl and Megatron on their local sightings board at TFW2005. It seems they were found simultaneously across the island nation at different Toysrus stores like the Paragon and Vivo locations. 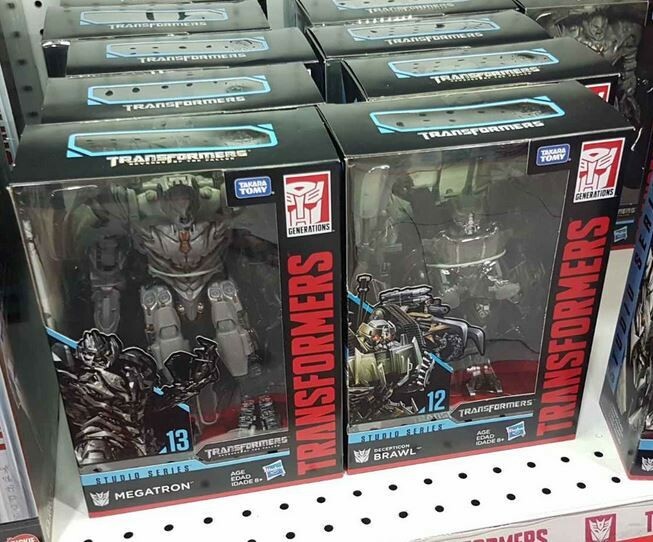 You can see just how much bigger one is to the other in the way Megatron really fills every inch of that box. This being the first global sighting it is impossible to know how much time it will take for these to reach the west and from past experience, it could be in two days or two months from today. These are expected end of June, early July, according to the seasonal Hasbro schedule. 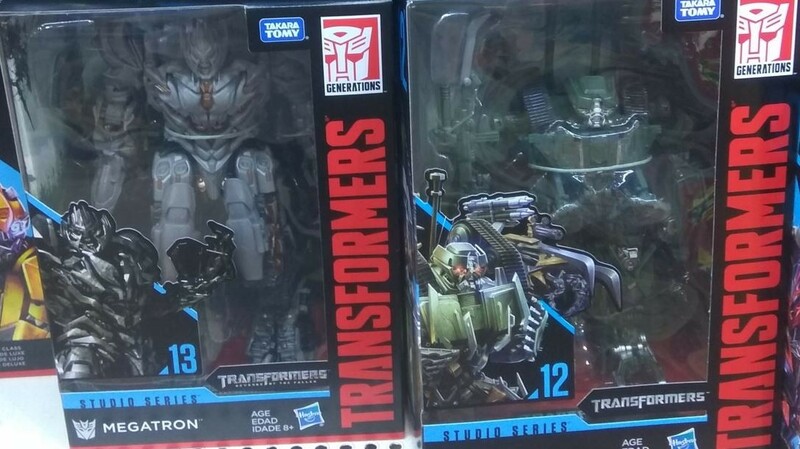 Will you all be getting both of these fully new molds? Let us know! Waiting for that Megatron to come over here so I can buy another mainline figure at full price. Seriously, it's been a while since I bought so much without waiting for any sale. Especially movie figures that are marked up. So having messed with Ratchet and Bee more, I feel slightly let down. Ratchet is good, don't get me wrong, but I think his voyager figure from movie 1 is still the better Ratchet. It feels an appropriate size, has a good sized alt mode, and the transformation is fun. The SS guy really needed to be voyager scaled, he is too small. And Bee, well, I'm sort of let down. The transformation is actually kinda annoying, and while the alt mode and robot mode are good, the getting there isn't really any good to me, It feels overcomplicated, too many small parts and parts running into each other. It is not swish at all. He also is definitely tiny to go with the overcomplicated, and his roof keeps snapping off in bot mode, I cannot pick that figure up without it coming off. And it runs into his wings, so I can't position his wings that well either. Partly the reason I didn't bother with the deluxes so far. Especially at 30$CAN each. I have hopes for Jazz though. D-Maximal_Primal wrote: So having messed with Ratchet and Bee more, I feel slightly let down. Wouldn't a Voyager rachet be too big though? It would have to be a fairly small Voyager to match the scale they are going for. I thought a Ironhide had been leaked Or am I mixing it up with the mpm line? 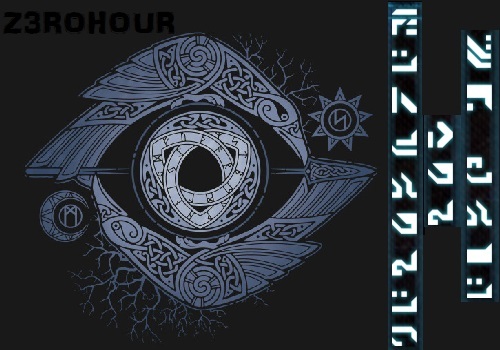 ZeroWolf wrote: I thought a Ironhide had been leaked Or am I mixing it up with the mpm line? Currently the sole Wave 3 Voyager. Dmax, did you get your Hammer Bee yet? How does it compare to this SS one for you? Even though I love my 2007 voyager Ratchet, so much that it's the only one I kept, it's still WAY too big to be in scale with anything. Maybe leader ROTF Optimus. SS Ratchet should have been a smaller voyager like SS Optimus. 4,835 pages were recently viewed by 1,040 unique visitors. This page was viewed 1 times on Sunday, April 21st 2019 3:12pm CDT. © 2019 Seibertron, Inc. DBA Seibertron.com. All Rights Reserved. Established June 2000. Seibertron.com is owned by Ryan Yzquierdo.